I am a Public Health Consultant and joined Public Health England specifically to establish the National Congenital Anomaly and Rare Disease Registration Service (NCARDRS), so I am excited to update you on our progress, to highlight why what we do is so important, and to tell you about our plans for the future. 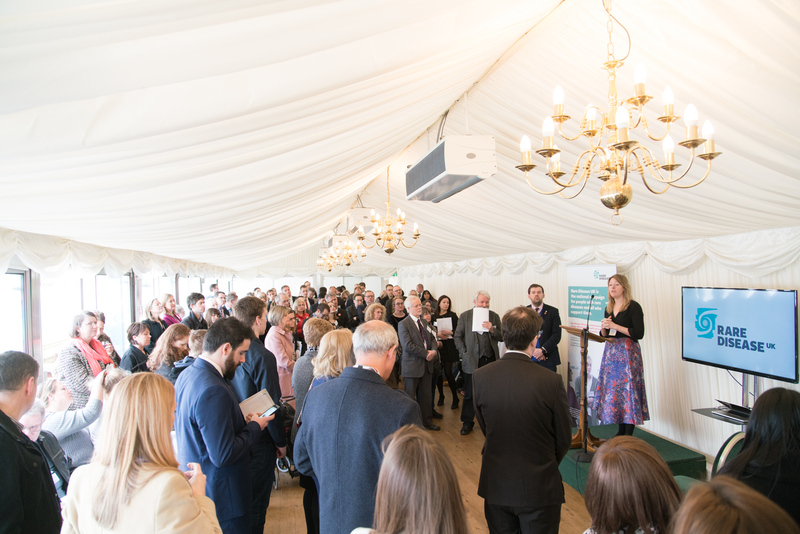 Public Health England launched the service in 2015, in response to the UK Strategy for Rare Diseases and the Chief Medical Officer’s recommendation to ensure nationwide coverage of congenital anomalies (also known as birth defects). Before this less than half the country collected data on congenital anomalies. We simply did not know how many children or adults were living with these rare conditions. 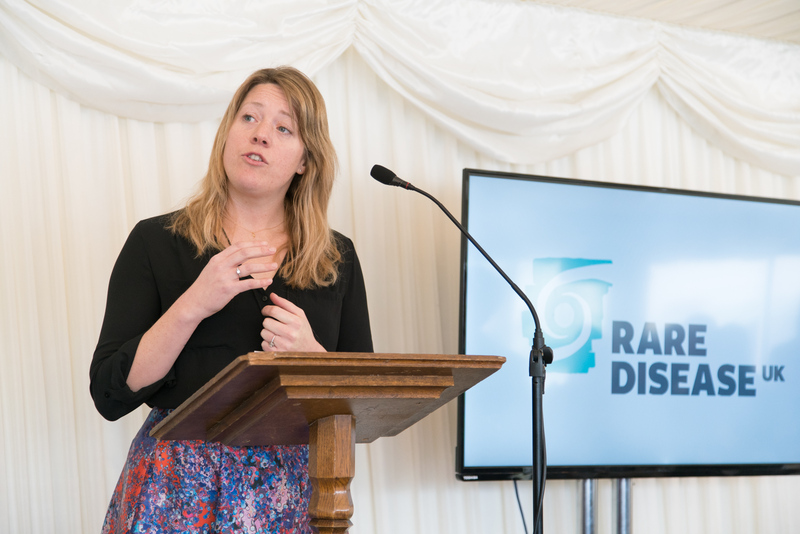 NCARDRS also supports the request from patients, identified through public consultation, for a national registration service, and we continue to work closely with patients and patient groups including Rare Disease UK’s Patient Empowerment Group. For many rare disease conditions we still do not have answers to some of the simplest questions: How many people have the disease? Where do they live? What is their life expectancy? How often do they require hospital care? What was their treatment and did those treatments work? The information required to answer these questions is out there and it is my role, and the role of NCARDRS, to collect the data we have available so that we can start to answer some of these questions. To do so we must collect high quality, accurate data on every child born with a congenital anomaly and every person living with a rare disease. Without this basic information we cannot hope to understand the causes and risks or the services that are needed to support patients and their families. Improving information has the potential to improve treatment and outcomes for people with rare diseases and ensure patients and their families are involved in decisions about their care. For example, when a diagnosis of a congenital anomaly is made either during the pregnancy or just after birth couples invariably blame themselves, ‘is it something I ate?’ or ‘is it because I went abroad when pregnant? ‘ They can be wracked with guilt. The register is really good at picking up clusters of rare diseases and detecting them early. We can also make links with drugs and other exposures or indeed identify that there were no factors in anything they had told us that could have contributed to their baby having the condition. Using register data we are able to give information to parents that often really helps them in coming to terms with the diagnosis. For the first time we have national coverage of congenital anomaly registration. This past year we opened three new regional offices in London, the East of England and the North West, all areas where there had previously been no registration. So we now have eight offices across England, a single data management system and a team of around 35 dedicated registration officers and analysts. We currently take data from 567 NHS providers across the country. Much of the focus to date has been on data in, ensuring we have high ascertainment and completeness, and have consistency and standardisation across the country. As you will be aware this is complex information and we might receive partial bits of information from multiple data sources. Staff are highly trained to piece this together and they work very closely with the hospitals, laboratories and specialist centres in their patch. The information we collect is not a mandatory data set. We have to demonstrate our benefit to clinicians so that they continue to notify us, and we do this by providing information back to them for service improvement and audit. We provide benchmarking data and monitoring information, together with information on detection rates and outcomes for screening programmes and we will be doing more of this routinely over the next year. For many clinicians working in rare diseases the most pressing need is to identify prevalence – to establish how may people have the disease. For this it is crucial to have national data. It has taken some time to achieve this, but we now have the systems and processes in place and are working hard on this as we expand out from congenital anomalies to other rare diseases. Data out is only as good as the data you put in. We still have a long way to go but my personal goal is to ensure that by 2020 every clinician has access to information about rare diseases, their prevalence and trends in a clear, accessible and useful format. We also want to ensure that more information is available to patients and the public. This year we will be piloting a patient portal to enable patients to access their own information after it has been collected. We might not be free from rare disease at any point in our lifetimes, but understanding their causes and effective treatment begins with understanding the factors that cause them. And as any good researcher or clinician will tell you…That begins with accurate high quality data. Sarah Stevens is a Public Health Consultant currently working within the National Disease Registration Division at Public Health England.